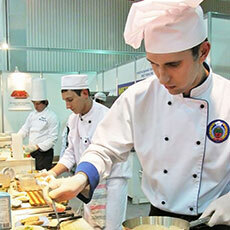 The SVQ in Professional Cookery at SCQF level 6 consists of two mandatory units and 10 optional units. These qualifications are now in its lapsing period and will finish on 31/08/2021. Centres should ensure candidates complete the qualification and results are submitted to SQA before 31/08/2021. The SCQF level 5 SVQs in Professional Cookery are also part of the SCQF level 5 Modern Apprenticeship in Hospitality. The SCQF level 6 SVQs in Professional Cookery are also part of the SCQF level 6 Modern Apprenticeship in Professional Cookery.